Ride and Read! 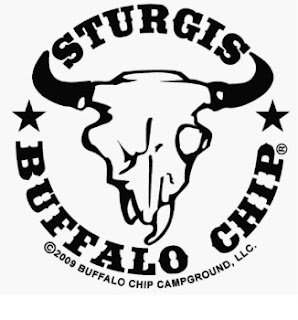 NEWS by Madness Photography - Onno "Berserk" Wieringa: Motorcycles as Art" exhibition at Buffalo Chip during the Sturgis Motorcycle Rally “Ton Up! - Speed, Style and Cafe Racer Culture"
Motorcycles as Art" exhibition at Buffalo Chip during the Sturgis Motorcycle Rally “Ton Up! - Speed, Style and Cafe Racer Culture"
"Ton Up! Speed, Style and Cafe Racer Culture"
Co-curators Michael Lichter (LichterPhoto.com) and Paul d'Orléans (theVintagent.com) have assembled a comprehensive display of 32 machines from 12 makes and 6 decades, plus never-published photography - from the original café racing scene in 1960s England to the present, paintings by Triumph ‘resident artist’ Conrad Leach, images from the Ace Café Collection, vintage leather ‘Rocker’ jackets from the Lewis Leathers archive, the “One-Show” 21-helmets display of custom painted helmets, painting by Andrea Chiaravalli and photography by Erick Runyon with other artists to be announced. The 30+ confirmed bikes for this exhibit include premium examples of 50s/60s Café Racers (Gold Star, Norvin, Triton, Dunstall, etc) from Herb Harris (Harris Vincent Gallery), Yoshi Kosaka (Garage Co), Mark Mederski (National Motorcycle Museum), Gordon McCall (Quail Motorsports Gathering), plus Willie G Davidson’s #0001 1977 XLCR, and machines from Alain Bernard (www.santiagochopper.com), Arlen Ness (www.arlenness.com), Barry Weiss, Brian Klock (Klock Werks Kustom Cycles), Bryan Fuller (www.fullerhotrods.com), David Edwards (www.bikecraftmagazine.com), David Zemla (www.burlybrand.com), Dustin Kott (www.kottmotorcycles.com/), Giuseppe Carucci (www.southgarage.com), Greg Hageman (www.docschops.net), Jason Paul Michaels (www.dimecitycycles.com), Jay Hart, Jay LaRossa (www.lossaengineering.com), Kevin Dunworth (www.loadedguncustoms.com), Ray Drea (Harley-Davidson design director), Richard Varner (www.championsmoto.com), Roland Sands (www.rolandsands.com), Shinya Kimura (www.ChabottEngineering.com), Skeeter Todd, Steve “Brew Dude” Garn (www.brewracingframes.com), Steve "Carpy" Carpenter (www.cb750cafe.com), Thor Drake (seeseemotorcycles.com), Vincent Prat (Southsiders MC) and Zach Ness (www.arlenness.com). Included in the show are original or modified machines by BMW, BSA, Ducati, Honda, Harley-Davidson, Moto Guzzi, Norton, Rickman, Triumph, Vincent and Yamaha. "Ton Up! - Speed, Style and Cafe Racer Culture” sponsors, without whom we couldn’t include GEICO Motorcycle, DHL Worldwide, Handy Industries, Hot Leathers, Keyboard Motorcycle Shipping, Russ Brown Motorcycle Attorneys and Spectro Performance Oils. The exhibition will be open August 3rd – 9th 2013 and is located next to the east gate of the Buffalo Chip and offers free admission to the public, and Buffalo Chip guests.